To become more efficient, it is essential for a Linux user to learn some basic commands and keyboard shortcuts. 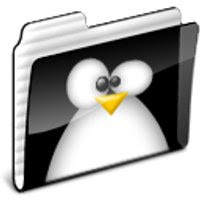 He or she must also be familiar with several Linux file directories to at least learn a little on how the system works. -Contains binaries needed for the boot process and for the system to run. Essential commands such as cd, ls, and more can be found here. -Holds files used throughout the boot process along with the Linux kernel itself. -Contains device files for all hardware devices on the system. -Holds host-specific system configuration files. -Contains shared library directories and files that include kernel modules. -The typical mount point for the user-mountable devices such as floppy drives and CDROM. -Contains virtual file system that provides system statistics. It doesn't contain real files but provides an interface to runtime system information. -This is the home directory for the root user. -Commands used by the super user for system administrative functions. -A standard repository for temporary files created by applications and users. -Directory contains subdirectories with source code, programs, libraries, documentation, etc. -Contains administrative files such as log files, locks, spool files, and temporary files used by various utilities. And cd can't be found in /bin. It is integrated with bash.